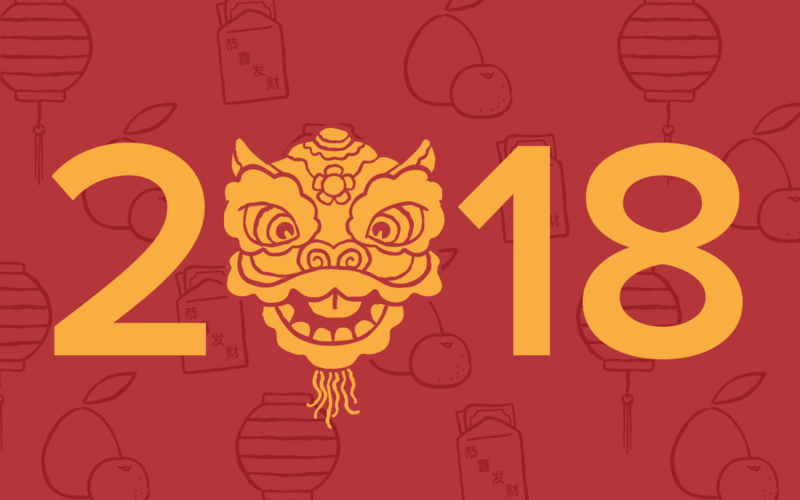 Chinese New Year starts tomorrow, February 16, 2018! After a spirited Year of the Rooster in 2017, the steadfast nature of the Year of the Dog promises peace and a welcome sense of harmony, according to this year’s corresponding element of Earth. Chinese New Year, also known as Spring Festival, is the most important holiday in China and falls on the first day of the first month of the Chinese lunar calendar. During this time, people across the country set off fireworks, perform dragon and lion dances, and go to temple fairs to celebrate this special occasion. Similar to an American New Year, Chinese culture uses this holiday as a fresh start. Scrub away those winter blues and guarantee your luck in the new year by cleaning your home before the celebrations begin. And be sure to wash all of your party clothes because Chinese New Year celebrations last for 15 days! So whip out the decorations and get cooking because the festivities are here to stay. Each year is represented by a different animal from the 12-year cycle of the Chinese Zodiac. 2018 is the Year of the Dog. Whichever animal is representing the year, people born in that year will take on characteristics of that animal. Exploring the Chinese Zodiac can give you insight into your own personality as well as your relationships with other people. Learn more about the Chinese zodiac signs and discover the compatibility of different signs with our Zodiac (Chinese, Mandarin) specialty course. Here are nine things you should take into account as we enter the Year of Dog. Before yelling at your dog, remember that you two may be very similar! If you were born in a previous Year of the Dog (which include: 1934, 1946, 1958, 1970, 1982, 1994, or 2006), you likely possess such traits as loyalty, kindness, intelligence, and just a tad of stubbornness — much like your furry friend. No, we’re not name-calling here. We just mean that Stallone was born during a previous Year of the Dog. Check your birth year — you might just be related! Mother Teresa, Winston Churchill, and Benjamin Franklin are also members of the Year of the Dog hall of fame. Although it may seem counterintuitive, the Year of the Dog actually means bad luck for people born in a previous Year of the Dog. Discover your sign and calculate your fortunes to find out what this year could hold for you. 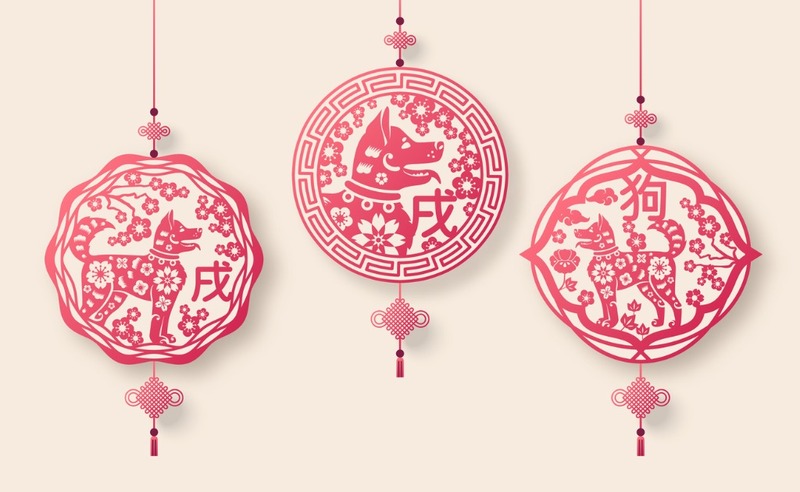 Each new year in China is not only associated with different animals, but also with one of five elements — Gold (Metal), Wood, Water, Fire, and Earth. 2018 is aligned with the Earth element, meaning anyone born in an Earth year should take pride in nourishing themselves physically, emotionally, and spiritually. Each year is assigned with certain lucky numbers. For 2018, three, four, and nine are the numbers you’ll want on the back of your team’s jerseys. Learning to like beige could boost your luck in the upcoming year. Beige, yellow, and blue are lucky colors during the Year of the Dog. When positioned in the southeast corner of a bedroom or living room, a dog statue will bring blessings to your home throughout 2018. Plus, you can add some puppy desk decor at work to increase your efficiency and reduce stress. In order to maintain your good luck throughout the new year, you should avoid eating porridge, which could lead to poverty. Also, be sure to hide your knives and scissors so you aren’t tempted to use them and risk cutting your wealth in two! 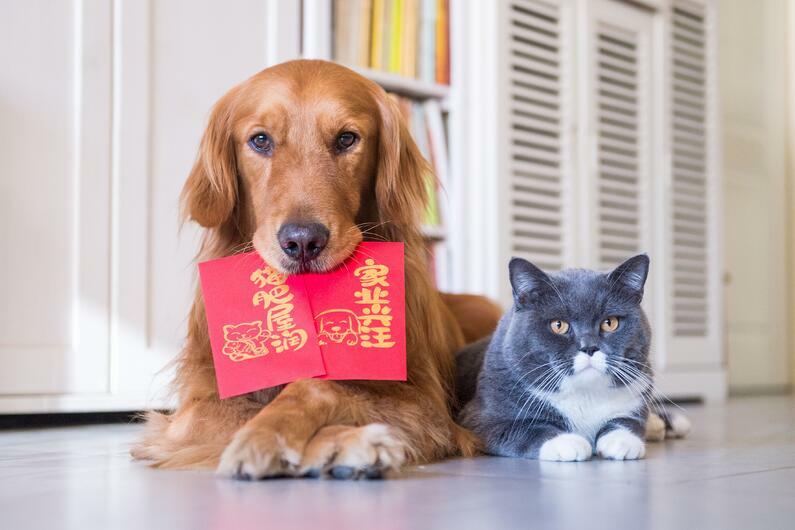 This Year of the Dog officially ends on the next Lunar New Year's Eve, which is February 4, 2019. So take advantage of the extra month to check off those new year's resolutions. You don’t have to travel to China in order to celebrate Chinese New Year — here’s how you can start a new tradition. You can easily join in the Chinese New Year fun by eating a feast, repping red (wearing red is considered lucky), or passing along a little cash to a loved one to ensure wealth for yourself in the new year. End your night with a firework show to scare off the evil spirits and make room for good ones. At Mango Languages, Chinese New Year means celebrating and showing love to Chinese culture. If parties aren’t your thing, curl up and explore the Chinese language through our Mandarin or Cantonese courses (or stream our YouTube series for expert tips for mastering Mandarin). We’ll introduce you to Chinese vocabulary, pronunciation, grammar, and culture — all through the context of real conversations. Log into your Mango Languages’ profile and choose a Chinese course to start learning! How do you plan to ring in the Chinese New Year? Share your plans with us in the comments below! Kelsey is semi-fluent in sign language and is currently learning French. She spends her time writing, traveling, and listening to good music — sometimes she does all three at once.